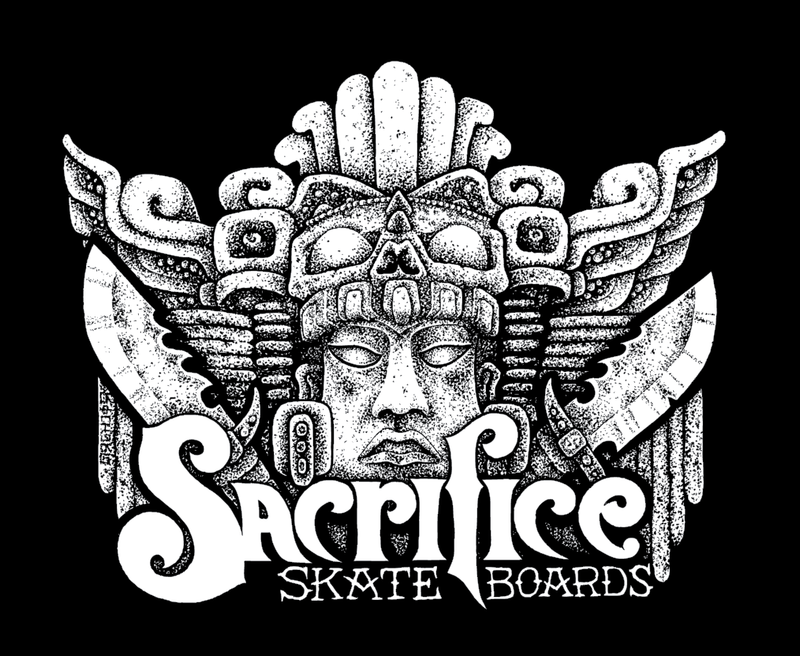 On Instagram, hashtag #sacrificeskates and #sacrificeskateboards with you representing Sacrifice skateboards to the fullest. Could be a skate photo, a home made sign, art work, anything. There is no limit to the amount of times you hashtag us and enter. the more the better! 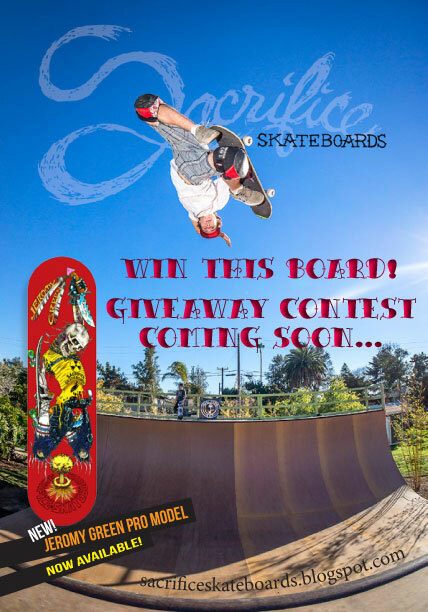 Winner will be picked based on best hashtag representing Sacrifice Skateboards. You could win a Jeromy Green Pro Model, Sacrifice Shirt and Sacrifice Sticker Pack..So stop goofing around and get to hashtagging us!!! 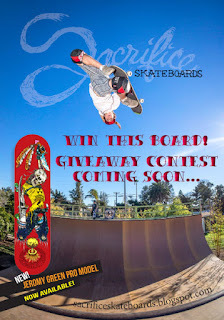 Jeromy Green Pro Model Giveaway!